What does that mean? Is this an ingredient we should be concerned about, or not? That purple color is pretty, but is it safe? What is Ext. D&C Violet 2? This chemical is a synthetic colorant, and is used as a color additive in the formulation of a wide variety of products. Used alone or in combination with other ingredients, it gives color to cosmetics and personal care products like nail polishes, bubble baths, bath salts, hair products, moisturizers, body washes, liquid hand soaps, and antiperspirants/deodorants. The “Ext.” in the name means that it is used for external applications only, and the “D&C” means that it is approved for use in drugs and cosmetics. Ext. 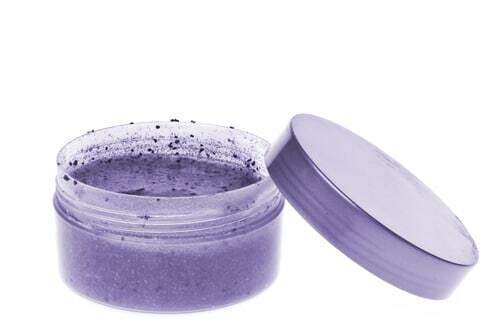 D&C violet 2 is classified as a “straight color,” which means that it is an additive that has not been mixed or chemically reacted with other substances. The chemical is water-soluble, and produces a deep purple-violet shade even at very low concentrations. Manufacturers like it for that reason—they can use very little to get the color they want, saving money. The chemical is also considered to be very stable, and to provide good color uniformity, making products appear as manufacturers want them to so they'll be appealing to customers. Finally, the chemical produces no undesirable odors or flavors, which colors derived from foods like beets and cranberries can do. 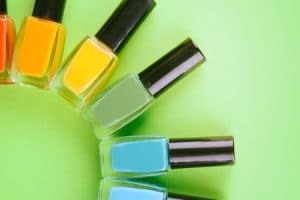 The FDA has determined that this chemical can be used for coloring externally applied cosmetics and personal care products when it conforms to certain specifications. It's not permitted for lip products, however, or for products intended for use in the eye area, as this would create the risk that it would get inside your body. The EWG warns that the chemical is produced from petroleum or coal tar sources, and coal tar is a known human carcinogen. In fact, coal tar dyes used in hair coloring products have been linked with bladder cancer. That doesn’t mean this colorant will cause cancer when it's not ingested, but it's not real comforting to know that you're applying something on your skin that comes from potentially toxic sources. Coal tar is a byproduct of the distillation of bituminous coal and is harmful to the environment, and may cause skin rashes and hives. The safety data sheet on the chemical states that it is a possible eye irritant, and that prolonged use may cause skin irritation. It's difficult to find a lot of research on this particular ingredient. We do have information on D&C dyes in general, however, and the information is not encouraging. These are some of the same dyes that have been identified as being dangerous for hair stylists because they're so prevalent in hair dyes. Did you find products in your cabinet with this ingredient? Will you continue to use them? I agree with you about the colorants but what products would you suggest using to color hair when trying to cover gray? Though it may be allowed in some products I think it should not be allowed in any. I found it in Old Spice (Long Lasting Stick) Pure Sport, High Endurance Deodorant. Note: These synthetic organic chemicals go down the drain or into the place people shower, swim or wash the clothes. Most eventually contaminates the water supply when one considers the cumulative effect if the product is popular and as the population increases or the number of consumers using this product increases or the number of products containing this ingredient increases. They can be excreted in the feces or urine if consumed. They may have a cumulative effect on the body as well as the environment. The likelihood of posing a real threat to marine life and human life increases over time. For these reason I think it should be taken off the market. We really don’t need colored deodorants, soaps, shampoos. food colors or cosmetics etc. We do not even need colored plastics or packaging. The ink we use to print with should be edible as well. It will affect the wildlife maybe in addition to the marine life.